It’s no secret that slouchy separates and loungy ready-to-wear have been growing in popularity with each season. 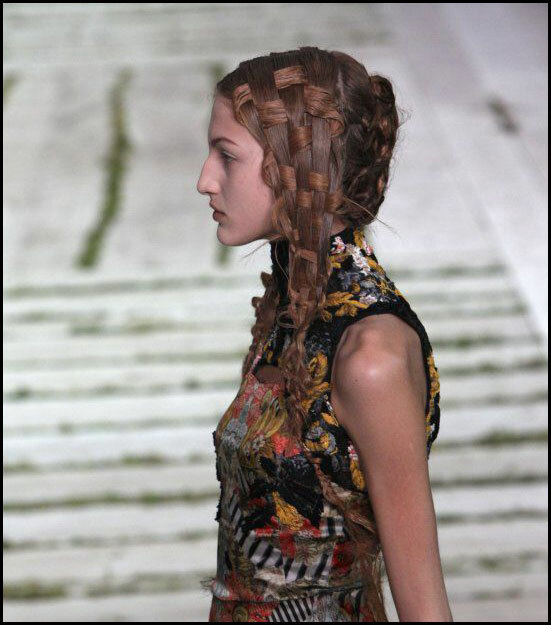 However, this spring the low-key RTW look will be on a whole new level. Ralph Lauren, Calvin Klein, Lyn Devon, and Donna Karan were just a few of the many designers who showcased the trend-worthy pajama pant down the spring and summer 2011 runways. Known across the globe as go-to nightwear, the pj pant has officially reached daytime status among fashion’s elite. Why pajamas you ask? Well, what’s better than wearing your favorite jammies at 10pm? Answer: wearing them at three in the afternoon with a pair of platform heels, a soft tee, and a chic trench a la Michael Kors SS 2011. Perfection. If you’re wondering how to master this sleepy trend without looking disheveled, we have a few tips up our sleeves. First, choose pants in luxe fabrics like silks and satins. Second, lean toward solid colors and neutrals that will blend in nicely with your existing wardrobe. (There’s nothing worse than loud kitschy pjs masquerading as grown-up attire.) For work, try layering your newest obsession under a blazer or a crisp fall jacket to give them a professional edge. If you’re thinking about hitting the town after hours, toss the jacket aside, let your hair down, and pair with a plunging neckline. Voila. Who’s sleepy now? Let’s not panic. When we take away one vice, we give you another in return–accessories! Headbands, scarves, and hats. Oh my! This will make all the difference between looking like a news reporter on Channel 10 or a chic head-turning trendsetter. American Apparel has the most amazing twist scarves on the planet for only $14. Bend your scarf into bows, bunny ears, or a tiny rosette. You can’t go wrong. Cute clips are another great way to showcase your fashion sense while camouflaging your awkward hair phase. Take a cue from the spring 2011 runways with a retro 1970′s side part complete with a statement-making barrette. Tip: Make sure the barrettes aren’t super tight to keep the damage to a minimum. Bon chance mon amis! 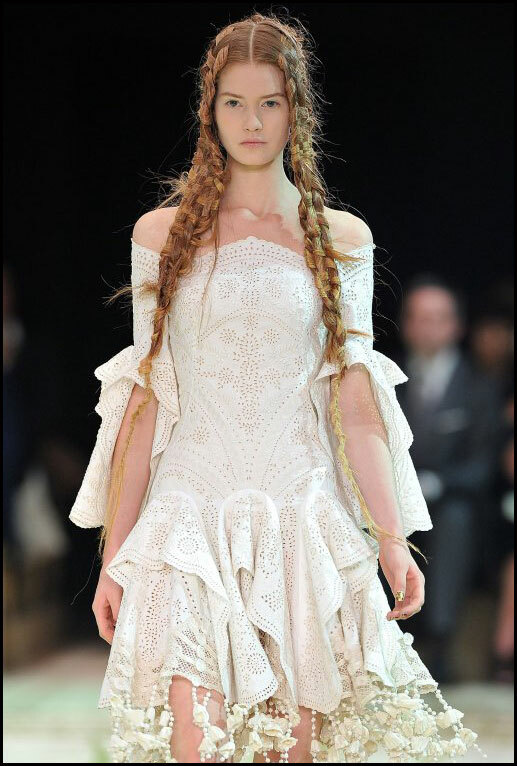 Designer Sarah Burton’s Vision Keeps McQueen’s Legacy Alive and Kicking and Beautiful. Well… she did it. And good for her. Taking the reigns of Alexander McQueen’s (RIP) dramatic fashion empire is no small feat. 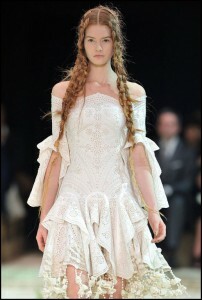 And while all eyes were upon her, Creative Director, Sarah Burton did just that. Using a softer, feminine touch, Burton managed to translate her 15-year collaboration with McQueen into a singularly beautiful vision. She unabashedly presented McQueen’s 2011 Spring collection with a softened, Mother Earth-like vision, yet not varying from the other-worldly past collections that McQueen himself dreamed up. While the designs themselves were breathtaking (think ethereal layers (above); softened or even bare shoulders; a broad nod to nature: black leather fronds, monarch butterfly embellished heels; or a mass envelopment of feathers), they all paid homage to things gilded and fabulous. It’s nearly Halloween, the time for all things vampishly villainous to climb into the cosmetic’s driver seat and take a dramatic little spin. 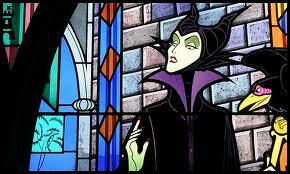 We can think of no better beauty role-models to turn to for our walk into the dark side than those mistresses (and one master) of mayhem: Diva Maleficent, Cruella de Vil, Dr. Facilier and Snow White’s Evil Queen – that’s right: Disney Villains. 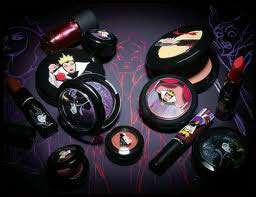 MAC Cosmetics obviously agrees and, as threatened via a Spring 2010 press release, they’ve unleashed a line of cosmetics inspired by those devastatingly deviant darlings. Available at U.S. cosmetics counters now, and coming soon to European counters (Oct. 2010), this line includes shadows, lipsticks and glosses, powders, nail lacquer and even a grease paint stick – all celebrating the ravishingly dark side of beauty. Don’t get the wrong idea though, this collection (which includes four separate mini-collections) is already garnering raves from cosmetics reviewers everywhere. 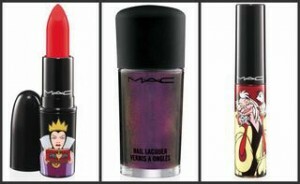 Priced from $13 – $25, I’d give this line raves for product names alone: There is a limited edition burgundy plum lipstick aptly called “Dark Deed”, a soft coral-pink matte blush named “Bite of An Apple”, and a limited edition red with red multi-changing pearl effect nail lacquer called, what else “Bad Fairy.” With packaging featuring these four Disney darlings, this collection is… well… downright collectable. And don’t forget to snap up the MAC “I’m So Vain” pocket mirror – because… let’s just admit it… sometimes we are! Signature Look or Fashion Rut? In an industry that thrives on constant change and impeccable taste, it’s ironic to note the stagnant style of fashion’s most powerful players can be a bore. 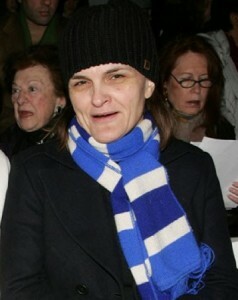 Take Cathy Horyn for example. The ever popular and controversial fashion critic is seen front row at Fashion Week every season in the same getup: little to no makeup, frumpy silhouettes, and a heavy dose of black on black. 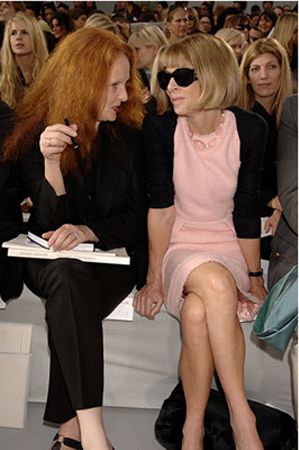 How about America’s sweetheart Grace Coddington? Known for her picturesque visions in Vogue, the adored redhead leaves her hair untouched, her black ensembles simple, and her jewelry classic with an understated necklace. Moving on we come to Anna Wintour, who dons her infamous bob and oversized sunnies no matter the time or day. What does it mean when the most incredibly talented women in fashion, whose job it is to inform you and me on style, are in a monumental fashion rut? Now we can poke fun and point fingers all day, but let’s turn the tables on our own closets. New York women are some of the biggest culprits when it comes to a daily uniform (myself included). A color palette consisting of gray, black, and navy dominates, leggings and jeggings are chosen over jeans and trousers, and we can’t forget the indispensable flats for travel. Did The Devil Wears Prada not teach us anything about the state of our wardrobe in the workplace? For shame. Time for a fall cleanup! Toss, mend, make lists, make vision boards, make rules, break rules, get destructive, get creative. After all, a true signature look for any fashionista isn’t about hiding behind habitual uniforms–it’s about an ever-evolving individual style.